The building was refurbished by Eaton Bray Parish Council in the late 1990s. 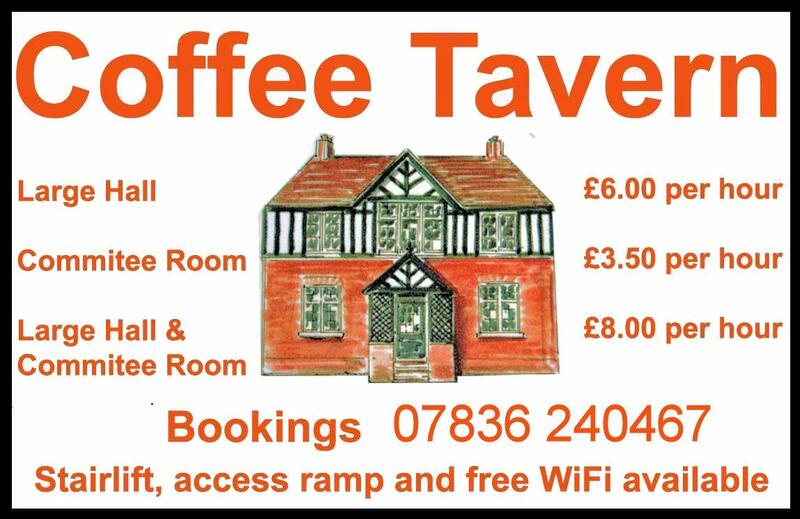 A location map showing The Coffee Tavern is available here. Using this map you can move around, zoom out and find the best route for yourself. In 1890, a Reverend Edwin Sutton came to the village of Eaton Bray with the task of restoring the Church. Mr Wallace, a local business man, suggested to the Reverend that they needed to get the men of the village out of the pubs, as the only work available at the time was casual, seasonal labour such as fruit picking, which meant the men had time on their hands to spend in one of the sixteen pubs around the village. Mr Wallace was a very generous benefactor of the village, and he gave £1,000 to build somewhere for the men. A local builder by the name of Mr Geoffrey Sharrat won the contract, but when the work was nearing completion, it was found that no stairs had been included on the plans for reaching the upstairs rooms; and so an outside staircase was hastily added. The grand opening took place in April 1901. Upstairs consisted of a billiard table and comfortable chairs, with a coke-burning stove for heating. Downstairs provided reading rooms, with coffee available over a stable door in the kitchen.